I am a non-discriminatory hummus eater. I have yet to find a flavor that I don't like. That said, garlic hummus remains one of my favorites. And this recipe is so easy. 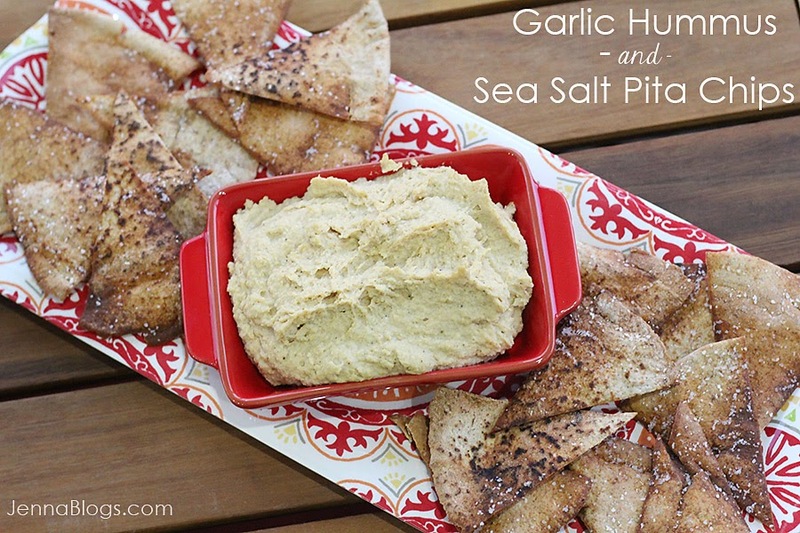 It's even better when paired with homemade pita chips, perfect for scooping up the garlicky deliciousness. Best yet? This takes virtually no time to make. 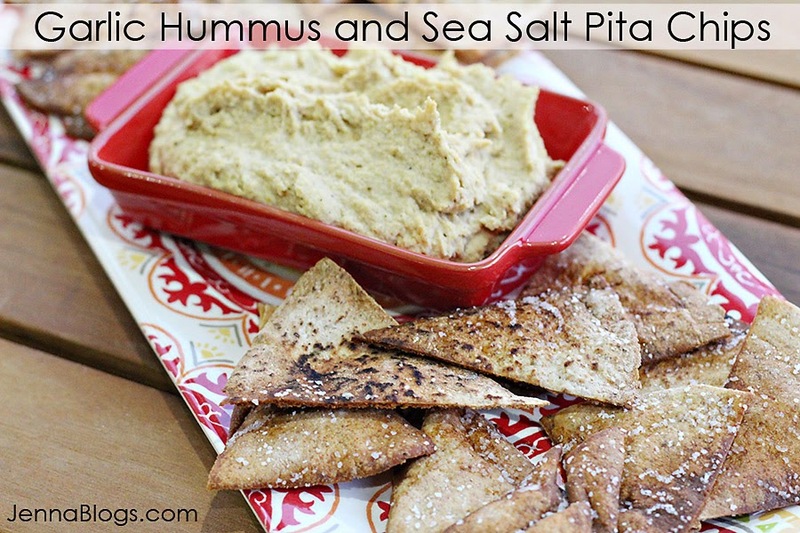 The chips and hummus take me less than 20 minutes (including baking time!) to whip up. Score! In a food processor, combine all ingredients, adding more water if needed to achieve desired consistency. Store in the fridge. Split pitas in half so that you have 2 circles. Stack them and cut into halves, then halves again and once more to make 8 triangles from each piece (16 total). Place triangles on a baking sheet evenly (do not overlap). Drizzle with olive oil and salt. Bake 10 minutes. Serve hot or store in a ziplock bag. Labels: all healthy recipes, appetizers, Bread, Misc. 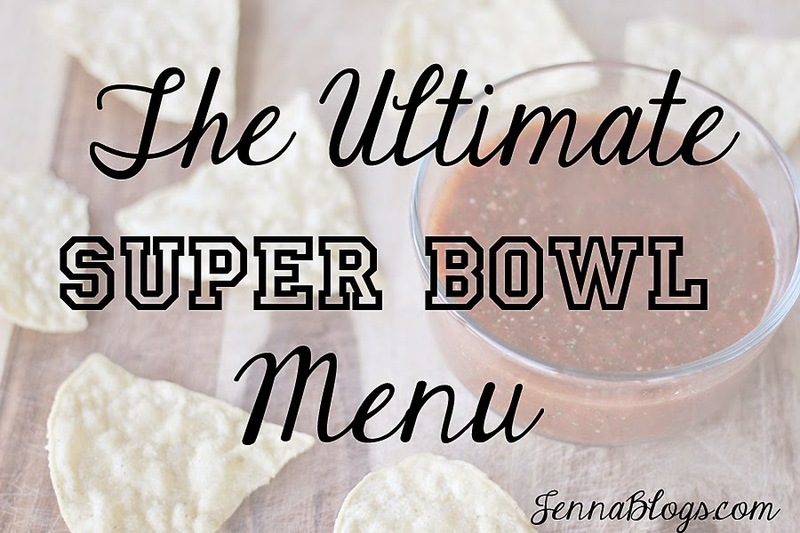 In preparation for your big football soiree's, I have some of my favorite, easy recipes lined up for you! This is one of my families favorite appetizers! If you like it spicy, try this one! 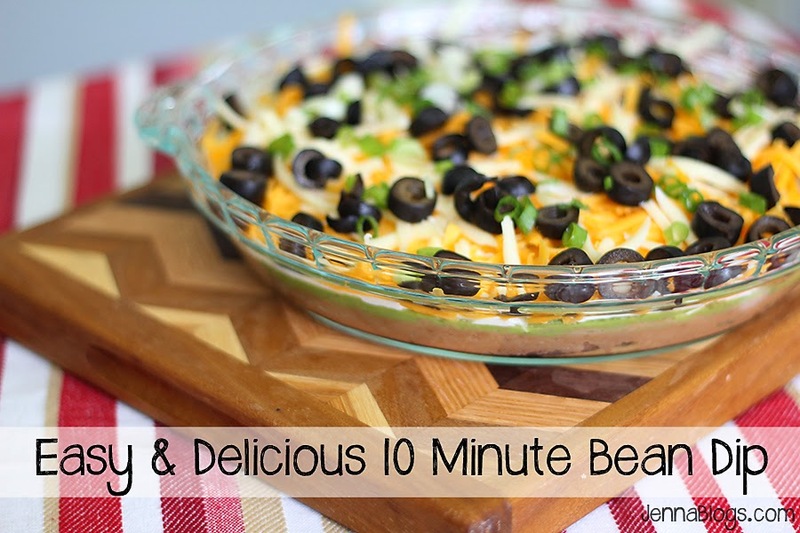 My 10 Minute Bean Dip is super simple and delicious. 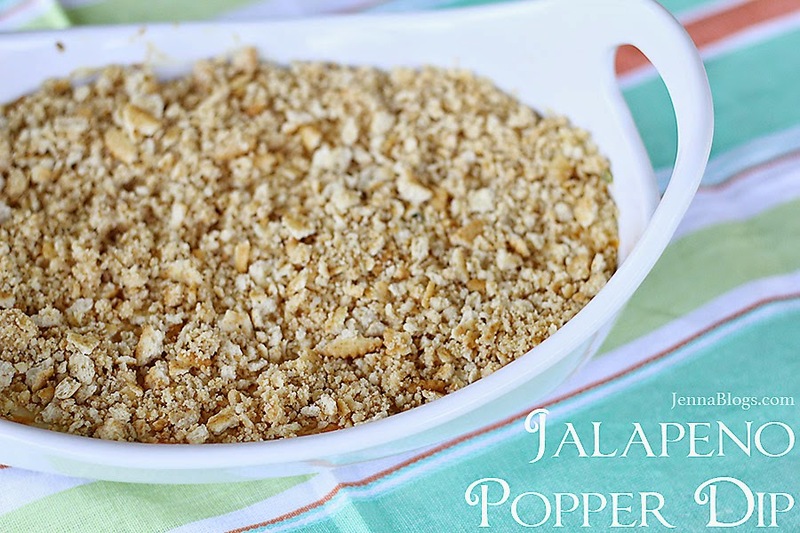 My mom has been making this since before I was born and it's one of my go-to appetizers for any occasion! 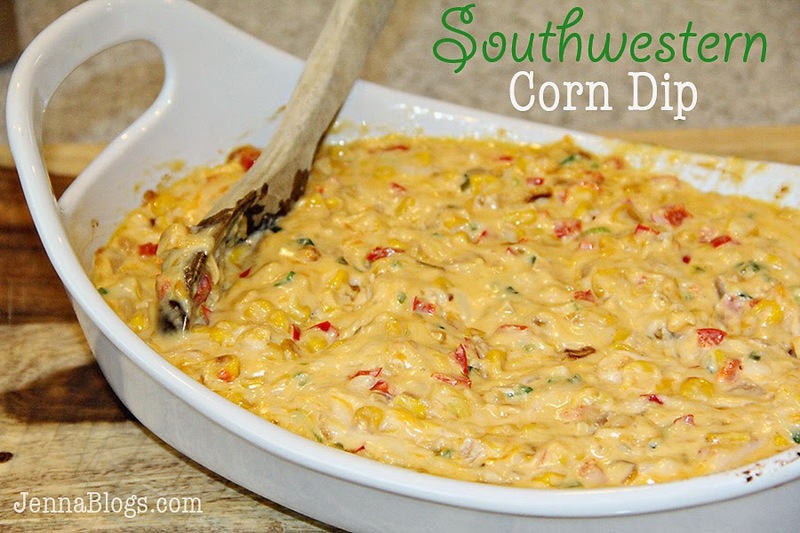 If you're wanting something a little different, try my Southwestern Corn Dip! It's packed full of flavor! 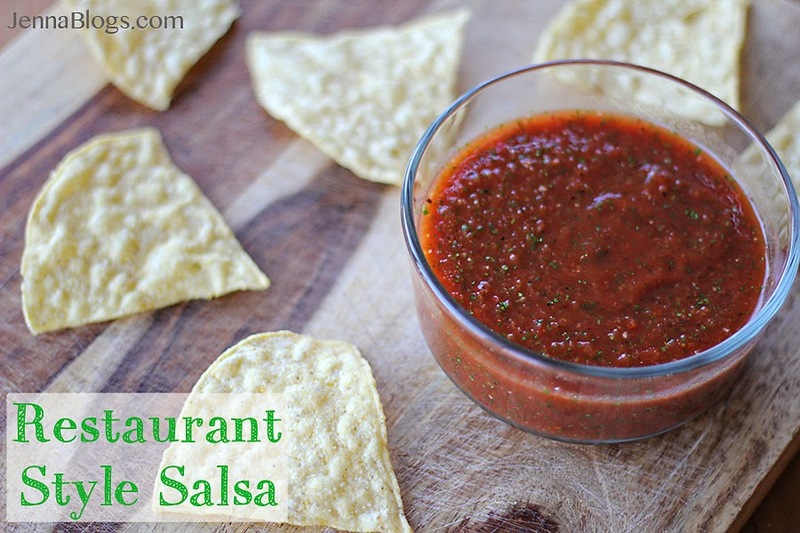 What is a party without salsa? This is my favorite homemade version! 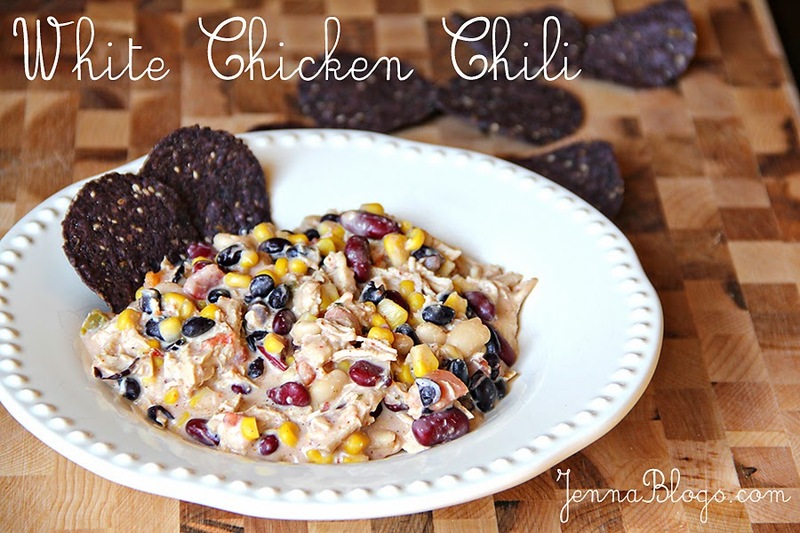 Turkey Chili - I amazingly do not have a picture of this, but it's a super healthy and really flavorful recipe! Bonus? I can whip this up in less than 30 minutes. Serve with cornbread! If you want a different type of chili, then this is the recipe for you. My white chicken chili is delicious and one reader even entered it into a chili cookoff... and WON! 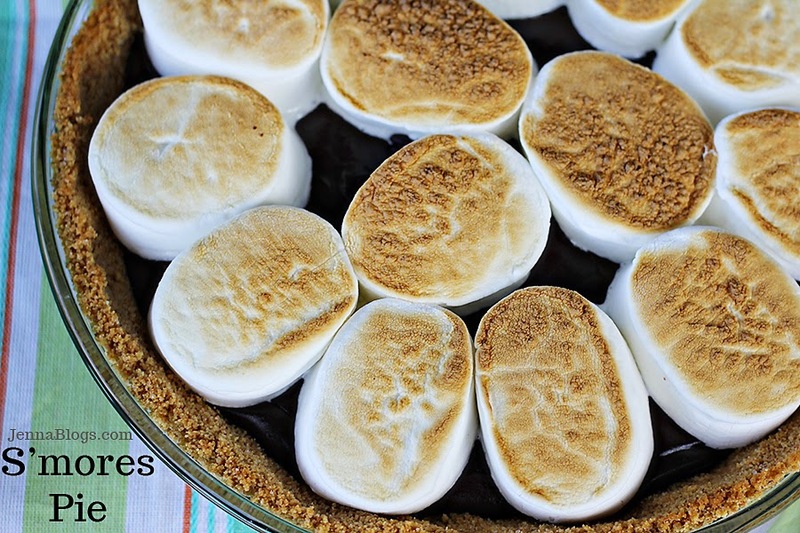 Mix it up this year and bring this S'more's pie. Everyone will be begging for more! Never Say "I don't get the flu." My husband got the flu a couple of weeks ago. He was nervous about me being around him and catching it myself, but as I haven't had the flu since I was a kid, and I've had my flu shot, I didn't think there was a chance I would get it. "I don't get the flu," I told him. Four days after he was fully recovered I felt like something was really wrong. Everything hurt. My eye sockets hurt. My baby toes hurt. I could not figure out what was wrong with myself (seriously...I really had no idea!). Chris came home from work to find me feeling half dead and pronounced that I had the flu. He ended up being right and I've been confined to bed for ten excruciating days. Thankfully, between Chris and my mom, they've picked up my slack and taken care of everything while I've been out of commission. I did use my time wisely though. First, I watched every episode of Downton Abbey. My friends Melissa and Lindsey have been telling me for months that I should watch it and that I'd love it...they were SO right! We just got Amazon Prime and seasons 1-4 are free so I flew through them. It's my new favorite show! After that I moved onto Gilmore Girls but I am struggling to really get into it. Everyone on twitter raves about it and maybe it just takes awhile to get into. And this girl...well, she hasn't left my side once. When I felt my worst she actually jumped onto my bed (she is not allowed on the bed) to check on me. She has stayed next to me the entire time. It's so sweet! Today (day 10) I am finally starting to feel better. I'm on my last day of Tamiflu which has helped tremendously, and I'm able to get out of bed and do a few things. But take my advice, and never say, "I don't get the flu." Ha! 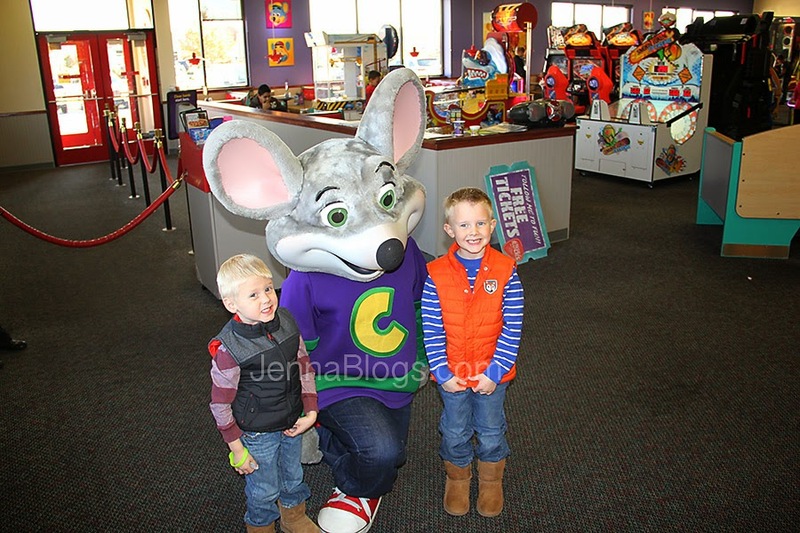 During my blogging break we had some big milestones, including Brody turning 4 and Brayden turning 6! Brody's birthday was right after we got home from Disney World. Both boys were dying to go see Big Hero 6. 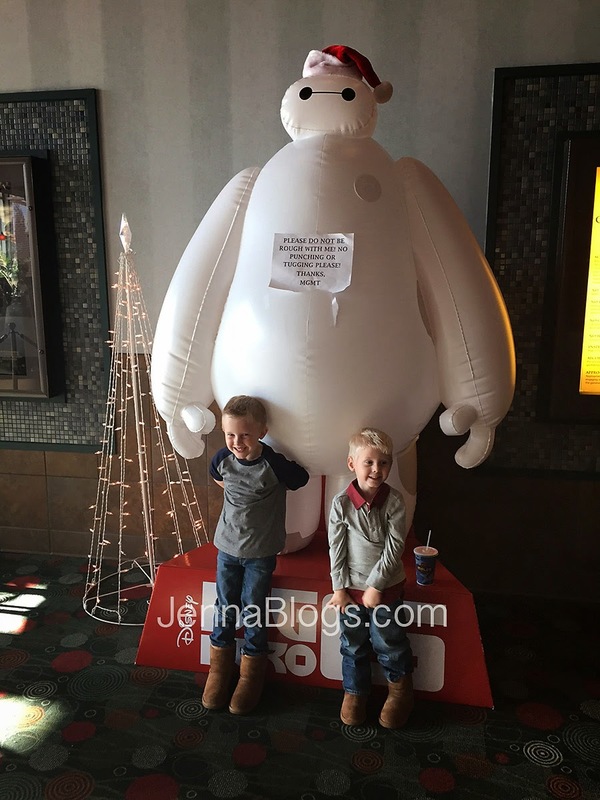 Baymax was all over Disney World and they fell in love with him before they had even watched the movie preview! Needless to say, they really loved the movie...me, not so much. It was so sad! Why does Disney insist on killing off all the parents?! Baymax was adorable though! Brody picked Chuck-E-Cheese for his birthday party followed by lunch at Chili's, or as he calls it, the bean place (he thinks the big red chili on the sign is actually a bean). 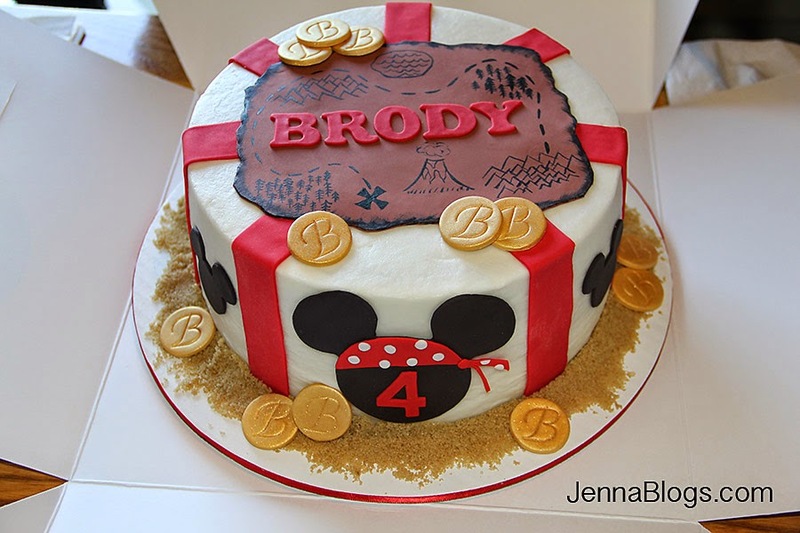 I picked a pirate Mickey themed cake design for him and he absolutely loved it! It turned out so great! Brayden's 6th birthday was yesterday and he was beyond excited! This past weekend he picked bowling as his birthday party activity, so our family met us at the bowling alley for games and pizza. 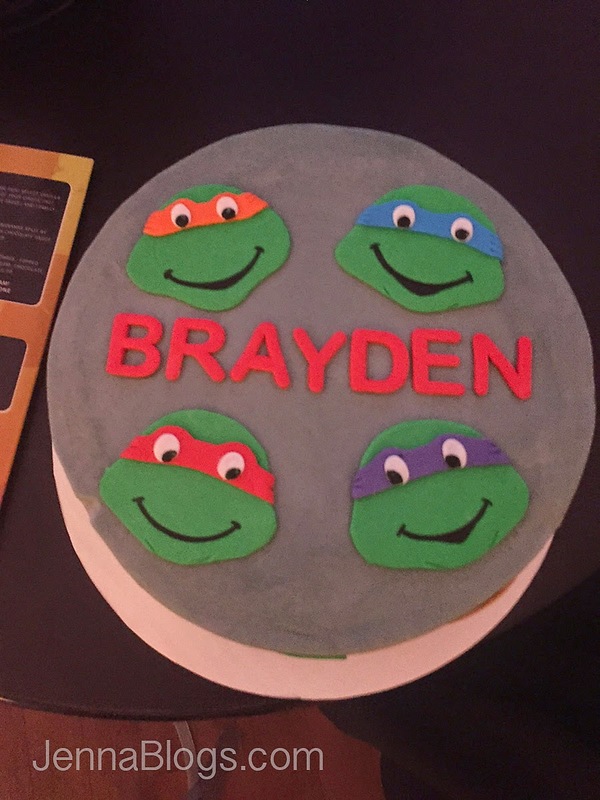 I don't have all of those pictures uploaded yet but I did snap a picture of his Ninja Turtles cake with my phone. I think next year we will probably start having friend parties but I've so enjoyed just doing big family events these past few years! It's so much more relaxed! 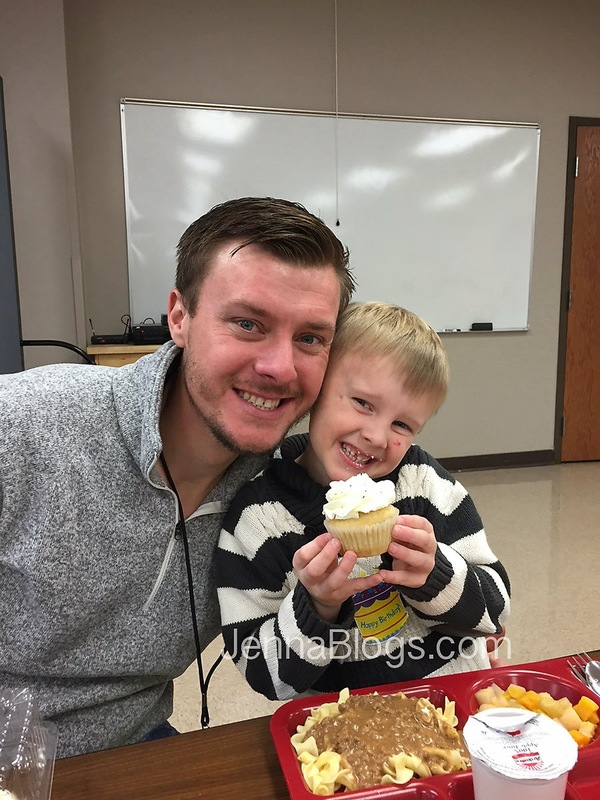 Yesterday, we surprised B at school with cupcakes for his class! Actually, I think he had guessed that we were coming but he was still so happy to see us! He picked dinner at Chuy's last night and after that, we went to my parent's house to let him open some gifts and crack open his piñata (this boy LOVES a piñata). 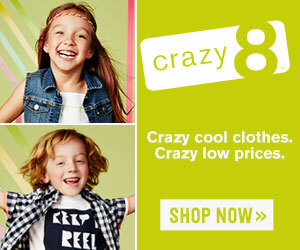 It's so hard to believe that I have a 4 and 6 year old! I always thought it was so cliche to say that kids grow up so fast but I'm finding it to be ridiculously true. I'm so proud of the sweet, God-loving little boys they are and I'm so grateful that I get to be their mommy! We're going to Mexico! And we picked a resort! Several months ago I asked for help in picking a resort in the Mayan Riviera. You guys are so great! You gave us so many wonderful recommendations and we spent time researching each and every one. We are going next month to celebrate our 10 year wedding anniversary which is actually in October of 2015, but we won't be able to go then. Apparently, February is one of the best months to go to this area and we don't mind escaping the freezing cold Arkansas weather for the warm sunny beaches! The El Dorado Casitas Royale! So this is a really cool resort and several of you commented and emailed me about it. We loved the spaciousness of the rooms, the huge pools, the nice looking beach, the amazing spa menu, the awesome restaurant choices and we loved the fact that the casitas are adults only. The property shares restaurants with the El Dorado Royale which is a more traditional style hotel that is family friendly. We get to use all of their amenities and restaurants while staying on the adults only side. I think there are some adults only restaurants as well, which is nice when you aren't taking your own kids with you. Originally, we thought this resort would be out of our budget, however, we ended up getting an amazing deal that includes a private dinner for us on the beach and two spa treatments. These are both things that we had on our wish list for the trip and we had figured them into the budget so between getting those for free and getting a really great price through a travel agent, it ended up falling into our budget! (If you want our travel agents info, send me an email - we ended up saving a ton!). If you're looking for more suggestions on hotels in the area, check out my original post - there are lots of great comments on it! I decided to take most of the month of December off from blogging. It's such a busy time for us and it became even more busy because Brody had to have his tonsils removed. I have lots to catch up on but I thought I would start (out of order!) 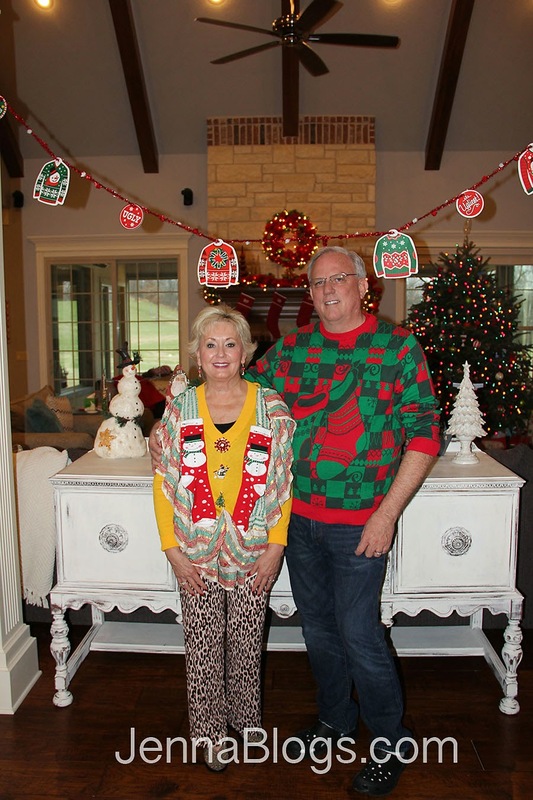 with our Ugly Sweater Christmas Eve party! 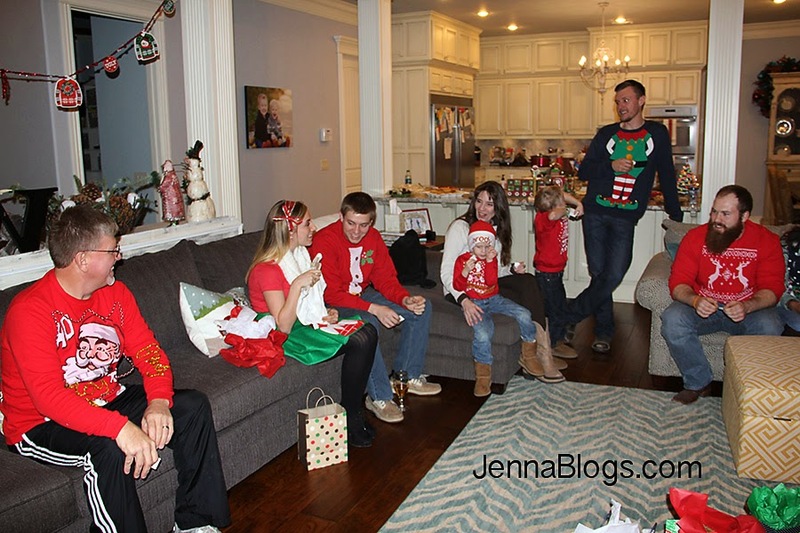 We hosted this party last year for our family and it was so much fun that we decided to make it a Christmas Eve tradition. 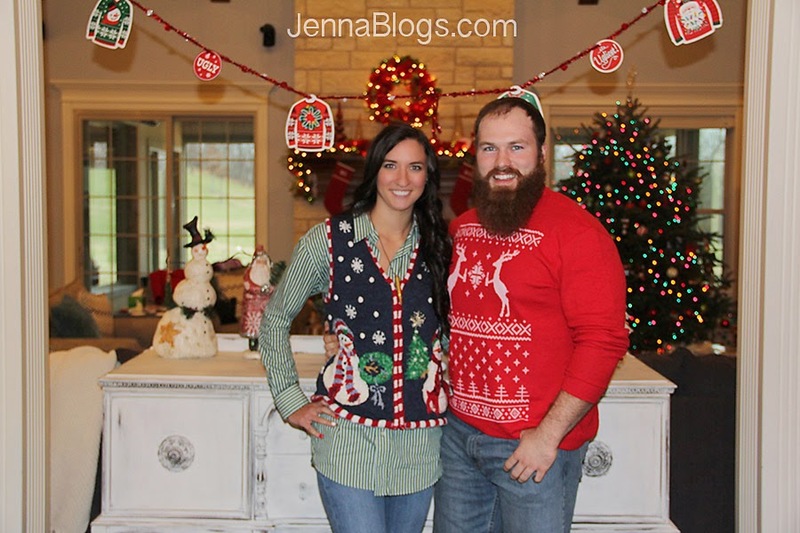 If you want to check out all of the fashion from last years party, click here. This year I went vintage...as in, this is my mom's sweater from the 90's. ;-) Last year I made my sweater and while it was fun, it was hard to move around and pieces kept falling off! This year I went the practical route! It wasn't really ugly, but it still went with the theme! 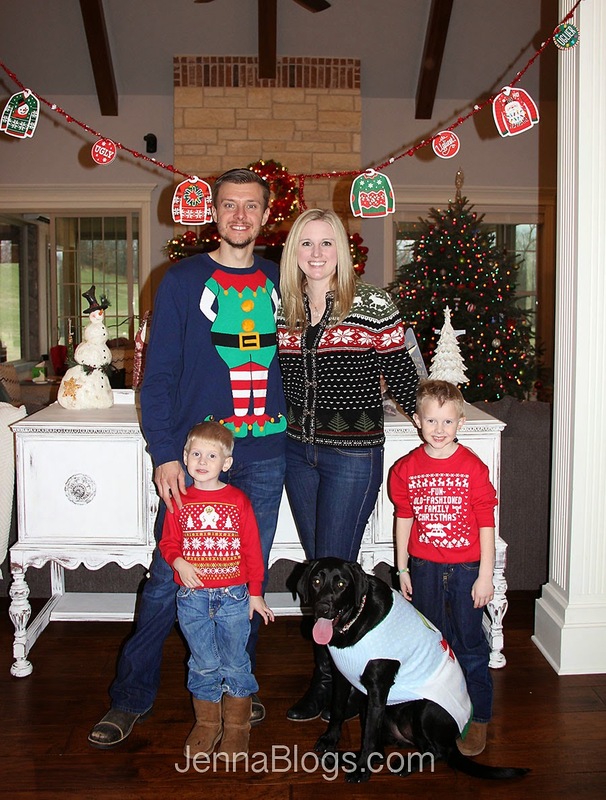 Chris wore an Elf sweater we found at Target (more stores seemed to cater to ugly sweaters this year!) and the boys wore their fair isle sweatshirts. Even Bodega got in on the fun! My mom made her sweater. My picture doesn't do it justice but it's actually a fireplace mantle with stockings hanging from it! She won our contest and took home the ugly sweater trophy! My dads sweater is pretty awful too (in the best way, of course!). This is Chris's step sister Shay and her boyfriend Kramer. Kramer matched my kids! I loved Shay's vest! And this is Chris's dad and stepmom. Rodney spelled out "Papa" on the front of his sweater in cotton balls and the kids names on the sleeves in pipe cleaners. Very creative! I failed to get everyone's picture (things got too busy!) but they all did a great job and it was so much fun! We added a white elephant gift exchange this year too. 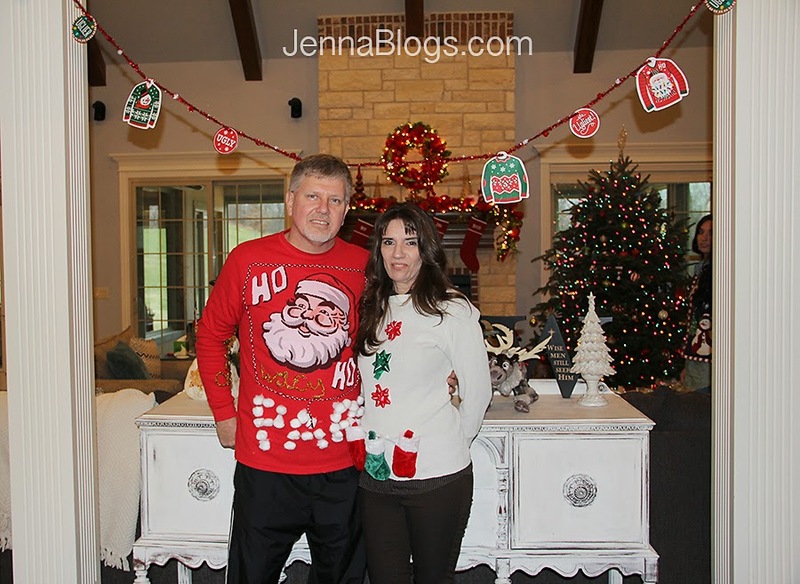 If you're doing an ugly sweater party, I highly recommend it! It was really fun and a great way to involve everyone!